NATURA @ HILLVIEW is located at 18 - 22 HILLVIEW TERRACE in district 23 (Bukit Batok, Choa Chu Kang) of Singapore. 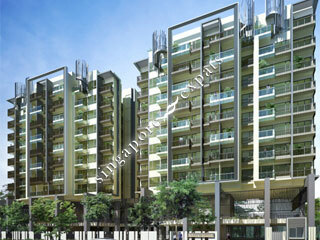 NATURA @ HILLVIEW is a Freehold Condo development consisting of 193 units. NATURA @ HILLVIEW is completed / TOP in 2016 (estimated), developed by MEQUITY (HILLVIEW) PTE LTD.
Educational institutions like GERMAN EUROPEAN SCHOOL SINGAPORE, ST. FRANCIS METHODIST SCHOOL, INTEGRATED INTERNATIONAL SCHOOL (IIS), LIANHUA PRIMARY SCHOOL, KEMING PRIMARY SCHOOL and BUKIT VIEW PRIMARY SCHOOL are near to NATURA @ HILLVIEW. NATURA @ HILLVIEW is accessible via nearby BUKIT GOMBAK, BUKIT BATOK and HILLVIEW MRT Stations. Security management is as rude as you can image. Wanted to drop off nearer to the block as was carrying heavy stuff but was scolded by the security guards big time. Tried explaining to them but would not listen. Image your friends or families visiting. This is how they will be treated! By the way, visited the place on 14 April 2019, 1pm.